400 BHN Plates, (HARDOX 400) Plates Supplier, EN 10051 Wear Resistant Plates Exporter, Hot Rolled Medium Tensile Structural Steel Plates Dealer. Marc Steel is a known manufacturer and exporter of 400 BHN PLATE (HARDOX 400), which has a number of outstanding features to provide like non-corrosive, dimensional accuracy, sturdy construction and more. HARDOX 400 Coils have a crew of specialists, which offers these services by means of the course of action laid in the market to achieve highest standards of quality. MAS400 AR Sheets as well offers a number of other outstanding features like use of higher quality mechanisms, timely rendered, provided as per customer’s specification and so on. MAS400 AR Plates is the use of strong importance on quality control and innovative technology, which offers these products soaring toughness. Buy 400 BHN PLATES at affordable price from us. 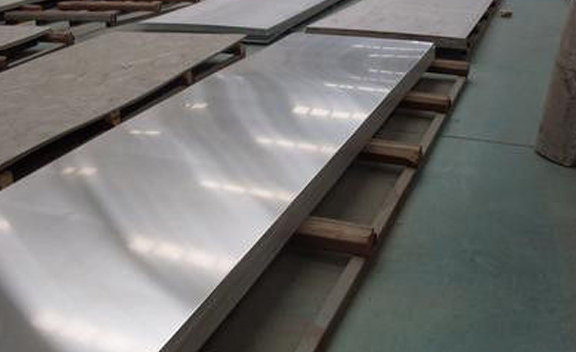 AR400 Sheets are used in industrial boilers, heavy machinery, wagon tippers, stackers, feeders, crushers, shipping industry, loaders, cranes, and supporting frames for machinery used in metallurgical and other-related heavy industries. AR400 Plates does not have huge structural potency, making it inappropriate for structural beams or building girders. Since it’s comparatively low-cost, Abrex 400 Sheets is useful for most ventures necessitating huge quantities of steel. By means of our main mission of client satisfaction by means of higher quality products, we for all the time deliver Abrex 400 Plates on precise time and at extremely reasonable prices. We are also extensively involved in providing a large range of HARDOX 400 Sheets to our appreciated customers. We are as well considered as among the well-known supplier and stockist of HARDOX 400 Plates. Seoul, Manama, Granada, Kanpur, Kuala Lumpur, Vadodara, Dubai, Milan, Pune, Haryana, Jamshedpur, Caracas, London, Atyrau, Lagos, Houston, Courbevoie, Mumbai, Al Jubail, Surat, Hyderabad, Ulsan, Cairo, Bhopal, Los Angeles, Riyadh, Jaipur, Chandigarh, Petaling Jaya, Jakarta, Ankara, Melbourne, Colombo, Noida, Howrah, Calgary, Gimhae-si, Ho Chi Minh City, Geoje-si, Sydney, Lahore, Chennai, Mexico City, Montreal, Ernakulam, Brisbane, Thane, Doha, Gurgaon, Secunderabad, Navi Mumbai, Karachi, Rajkot, Bogota, Tehran, Rio de Janeiro, Faridabad, Edmonton, Moscow, Dallas, Sharjah, Hanoi, Singapore, Bangkok, New Delhi, Istanbul, Kolkata, Muscat, Nashik, Thiruvananthapuram, Bengaluru, Visakhapatnam, Coimbatore, Vung Tau, Ludhiana, Dammam, Toronto, Ahmedabad, Madrid, Santiago, Aberdeen, Perth, Nagpur, Abu Dhabi, Baroda, Jeddah, Hong Kong, Indore, La Victoria, Port-of-Spain, Chiyoda, Algiers, Pimpri-Chinchwad, Al Khobar, Kuwait City, Ahvaz, Busan, New York, Ranchi. Mumbai, Gurgaon, Sydney, Baroda, Indore, Abu Dhabi, Chennai, Hanoi, Lahore, Santiago, Los Angeles, Riyadh, Dallas, Ankara, Singapore, Jakarta, Kanpur, Haryana, Toronto, New Delhi, Faridabad, Istanbul, Nagpur, Vadodara, Muscat, Ludhiana, Hong Kong, Geoje-si, Nashik, Pune, Tehran, Pimpri-Chinchwad, Atyrau, Milan, Dammam, Dubai, Secunderabad, Jaipur, Manama, Chandigarh, Ahmedabad, Moscow, Edmonton, Bengaluru, Mexico City, Noida, Cairo, Madrid, Bhopal, Ulsan, Bogota, Visakhapatnam, Howrah, Ho Chi Minh City, La Victoria, Port-of-Spain, Al Jubail, Busan, Rio de Janeiro, Brisbane, Rajkot, Caracas, Doha, Kuwait City, London, Aberdeen, Montreal, Granada, Chiyoda, Houston, Ranchi, Al Khobar, Colombo, Ernakulam, Hyderabad, Karachi, Vung Tau, Navi Mumbai, Surat, Thiruvananthapuram, Jeddah, Gimhae-si, Kuala Lumpur, Petaling Jaya, New York, Seoul, Lagos, Sharjah, Perth, Courbevoie, Coimbatore, Calgary, Bangkok, Algiers, Kolkata, Melbourne, Jamshedpur, Thane, Ahvaz.